Gatlinburg Municipal Golf Course is open year-round with modern facilities, fully equipped pro shop and food services area. This beautiful 18-hole course was designed by noted golf course architect William Langford. In 1993 it underwent a major renovation by Bob Cupp & Associates of Atlanta. Located just minutes from downtown Gatlinburg, the course lies in Pigeon Forge on the road to Dollywood. Convention and group outings are welcome. Call us, we'll have a tee time waiting for you! The Comedy Barn Theater is a barrel full of laughs! Whether you're 3 or 93, you'll be rolling in the aisles! Featuring clean comedians, musicians and fun barn yard animals. The Comedy Barn Theater, located in Pigeon Forge, TN, is the award winning family comedy variety show in the Smokey Mountains. Our show features magicians, fire-eaters, jugglers, ventriloquists, clean family comedians, live country and gospel music as well as fun barn yard animals. The Comedy Barn offers clean comedy for an enjoyable evening of family fun. You'll laugh until you can't laugh anymore. Don't forget to stop in on your next trip to the Smokies. For Reservations and Show Times Call 865-428-5222. A Smoky Mountain Family Adventure! Discover the heart of the Smoky Mountains with Thrilling Rides-(Tennessee Tornado, Smoky Mountain Rampage, Wild Eagle, Drop Line, Barnstormer, FireChaser Express, Dizzy Disk, Daredevil Falls, & Thunderhead Rollercoaster)-, Family Traditions-(Classic Carousel, Rockin' Roadway, Dollywood Grist Mill, & The Dollywood Express)-, Spectacular Shows, and Master Craftsmen. Enjoy special events such as: Festival of Nations, Barbeque & Bluegrass, Summer Lives Here, Thrills in the Hills, Rock the Smokies, Harvest Festival, and Smoky Mountain Christmas. For Admission Pricing and Info Call 865-428-9488. 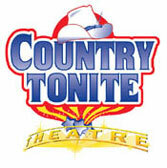 Country Tonite Theatre in Pigeon Forge, TN is the best entertainment value in the Smokies! Experience this high-energy full-scale production located in a 1500 seat multi-million dollar theatre. You're sure to understand why this spectacular show has won so many awards including "2004, 2003, 2002, 2001 Show of the Year ", "Best Live Country Show in America" and "Best Show in the Smokies"! In its eighth year in Pigeon Forge, Country Tonite continues to provide the best in quality entertainment with singing, dancing, comedy, gospel, patriotic, and more filling this two-hour show. From old country to new country, our country theater has it all. If you are want to hear classic country music, then visit this country theatre for a music experience you won't forget. Let the cast of our award winning show sing their hearts out to your country favorites. Want to hear some country tonight, visit the best country show in Pigeon Forge, COUNTRY TONITE! Country Tonite Theatre in Pigeon Forge 129 Showplace Blvd. Pigeon Forge, TN 37863. 865-453-2003. Home of full-throttle fun for everyone! We feature tracks for all ages, state-of- the-art Arcade and interactive games, the hottest driver merchandise, kiddie rides, mini golf, bumper boats, a snack bar and much, much more! Family Fun...NASCAR Style! With 8 exciting tracks, Speeddome Arcade, Climbing wall, Simulators, Bumper Boats, Kid-Sized Rides, and NASCAR Merchandise. Call 865-908-5500. Pigeon Forge is home to Smoky Mountain Ziplines. Located just 1.5 miles off the parkway. We are a premiere zipline tour with 18 ziplines, including the 4 side by side super lines. These lines are 800 feet long and 100 feet high. Not to re, our canopy tour will start you out easy with a training area. The experience you gain will build confidence for longer lines. 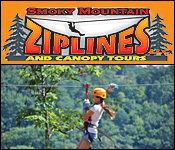 Join us for outdoor adventure at Smoky Mountain Ziplines! The Track in Pigeon Forge is your family headquarters for fun! Our action-packed recreation center features everything from the ultimate in go-cart tracks, like our Wild Woody three-tiered go-kart/roller coaster hybrid, to big fun for little tykes at Kids Country. Challenge your friends to miniature golf at Gator Golf, splash ‘em on Blaster Boats, or test your courage on our SkyFlyer or bungee jumping tower! Call 865-453-4777.